Like the community we serve, the Loudoun County Chamber of Commerce is a leader in Northern Virginia, one of America?s fastest growing, most prosperous communities. 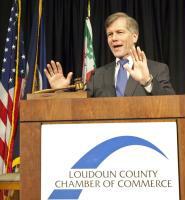 Founded in 1968, the Loudoun County Chamber has grown to become the largest Chamber of Commerce in Northern Virginia. Our more than 1,200 members form the premier network of businesses and community leaders in the nation?s most economically vibrant and fastest growing counties. Northern Virginia?s finest businesses are Loudoun County Chamber members because they need the finest networking, marketing, information and leadership opportunities in this very competitive market.